If you want to experience the tropical island dream of sugar-white shorelines and sea the colour of topaz, Anguilla is the ideal choice. With a plethora of colourful reefs, hidden coves and idyllic islets, it’s easy to understand why visitors return year after year to this beach-lovers’ paradise. Our Anguilla luxury holidays can be spent relaxing under coconut palms, sinking your toes into soft sand and swimming in warm waters. Anguilla’s 12-miles of coastline can only be described as picture-perfect, with an array of stunning beaches to flop down on. For a leisurely stroll, head to Rendezvous Bay. This spacious, crescent-shaped beach is over 1.5 miles long and offers undisturbed views of the dazzling, turquoise waters. Alternatively, Shoal Bay East offers a tranquil and secluded retreat - perfect for a lazy day of sunbathing. As its name suggests, Sandy Island is home to one of Anguilla’s most beautiful white sand beaches, fringed with gently swaying palms. The water here is so clear that you can see turtles and groupers gliding through the reefs. 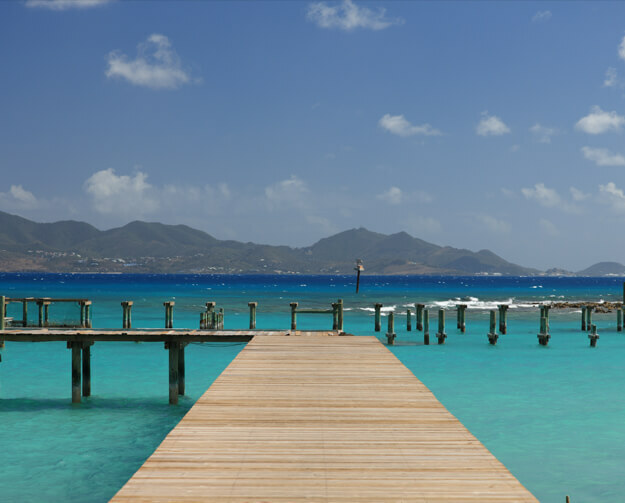 The waters surrounding Anguilla’s main island and islets are a diver’s dream. Clear and warm, the ocean here is home to some of the best underwater sites in the world. The coral reefs teem with sea creatures and offer a colourful delight for scuba divers and snorkelers of all levels. There are seven marine parks in Anguilla, and protection and conservation of these stunning natural habitats is ongoing. The wonderfully named Prickly Pear Cays has some fantastic diving opportunities, with mysterious caverns and several shipwrecks nearby. As well as reef fish, there’s the chance to see barracuda and nurse sharks swimming through dramatic rock formations. When you’re not delving beneath the waves, there’s plenty to see and do on land too. Head to one of Anguilla’s popular landmarks, such as the Fountain Cavern National Park. A breathtaking 14.5-acre site of limestone terraces, the park includes a cavern filled with artwork made from stalagmites dating back to AD 300. Alternatively, pay a visit to Anguilla’s only museum – the Heritage Collection Museum – and discover the fascinating history of the island. Wallblake House, which was built in 1787, is the oldest structure on the island and the last remaining plantation house. 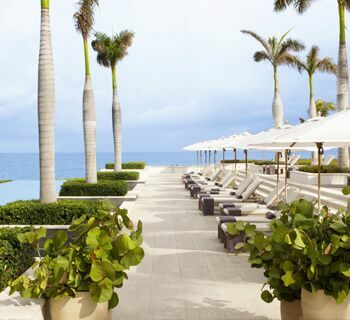 If you’d prefer to chill out, luxury resorts in Anguilla are renowned for pampering their guests. Whether you’re topping up your tan by the hotel pool or unwinding with a spa treatment, relaxation is always on the agenda. Evenings are generally a laid-back affair in Anguilla. Meads Bay is a popular nighttime spot, where you can enjoy a JoJo punch or Frisky Parrot cocktail and watch the sunset. Food-wise, fine-dining restaurants can be found at most luxury hotels in Anguilla, offering cuisine from all over the world. Seafood and spice-infused meat features heavily on local restaurant menus, and don’t miss the chance to try the island speciality of goat curry, cooked to each chef’s own secret recipe. 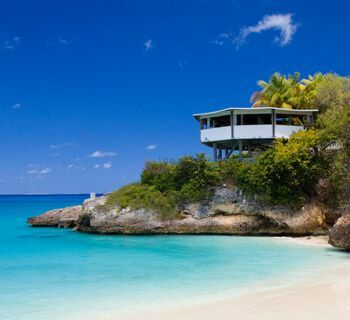 Malliouhana is renowned as being one of the best resorts in Anguilla since it opened its doors in 1984. This stunning boutique resort is set on top a cliff that boasts magnificent panoramic views of the Caribbean.